Our Church Centre is open to everyone from Monday to Saturday around the core hours of 10am to 2pm. 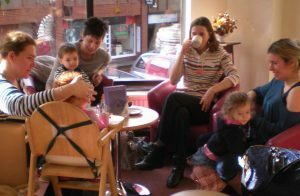 Visitors are welcome to sit in the lounge area, or make use of the café. Hot and cold food is available to all. We make much of our own food on the premises. Excellent soup is available during the colder months with different flavours each day. All soups are gluten free. Scones, biscuits and other seasonal items are baked daily. Jacket potatoes, sandwiches or items on toast are available. Fair-trade ground coffee and tea are served, cold drinks are also available. Because of our position close to the city centre our premises are used by a variety of church and non-church groups throughout the week. There are three rooms in the new building, a large separate downstairs hall in the old building, plus the main church space. We encourage community groups to hire and use our premises. The live core of the café area provides space for people to sit and chat. There are Christian magazines to read, plus a shared ‘Bring and Borrow’. This is a collection of paper-backed books which anyone can borrow at no cost without any record being kept. The titles are constantly changing as people bring back books or replacements. Among other current activities directly run by the church are table tennis and a variety of other games in the Lower Hall each Monday. Once a month on a Tuesday a knitting group sits in the café area to knit and share knitting knowledge. 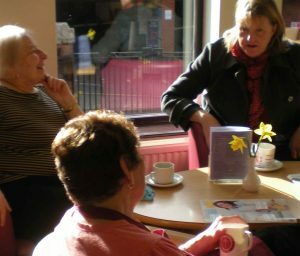 Other church-based activities, such as a monthly daytime Bible study, and also a monthly Prayer meeting meet in the Cross Street Centre. Full details can be found on the Regular Programme page of this website, and in the church magazine.